Apple is expanding its portfolio of “activities” that can be tracked by the Apple Watch. watchOS 4.2 introduced workouts that can track your skiing and snow boarding activities. According to Apple’s news release, skiers and snowboarders can use Apple Watch Series 3 to track their activities via new updates to apps available in the App Store. Watch users can now record runs, see vertical descent and other stats, and contribute active calorie measurements directly to the Apple Watch Activity app. 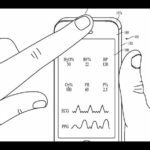 Two new patents published today point to additional health and wellness features coming from Apple. The first of these patents, 9914018, is geared towards developing a system, device or method that can help in capturing and training a swing movement of a club. The described methods not only aid in capturing a golfer’s swing data but it can also benchmark the collected information against desired goals and provide analysis to make the swing action even better. This will be achieved by utilizing a three dimensional accelerometer and angle sensors in a device. According to the patent, an iPhone can be used in conjunction with the device to record videos of the swing motion. The training swing videos can then be uploaded into cloud storage. Further processing can include more intensive analysis of the uploaded data and even remote coaching from a coach that may be available to review the uploaded training swing data in near real time. The measuring device for swings can also include a virtual caddy application for use during play a game. By way of example, when playing a particular hole at a particular golf course, the virtual caddy application can compare a user’s swing to a recommended swing for the particular hole. It is not a coincidence that Apple is expanding its portfolio of activity trackers. Other smart watch players such as Garmin have increasingly focussed on this in their new product offerings. The next patent in the Apple Health arena that was published today describes a Wellness Registry. Approximately 133 million Americans currently suffer from at least one chronic condition. This number is expected to rise to approximately 165 million by the year 2020. As a result, the cost of healthcare in the United States is expected to increase dramatically. Attempts have been made to improve the health of individuals by providing them with tools to monitor and track their wellness data. Wellness data can generally include any type of data associated with a person’s health, such as their weight, heart rate, blood pressure, blood glucose level, medication compliance, activity level, or the like. Users can monitor their wellness using devices, such as blood pressure cuffs, blood glucose monitors, electrocardiograms, step counters, and the like. 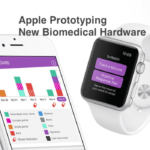 Software applications (e.g., Apps) associated with each of these devices have also been developed to allow users to track their wellness data over time. 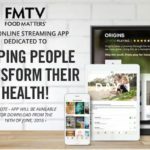 While each application can be used to view useful information about a user’s health, current applications are limited in their ability to allow users to store, view, and share wellness data collected by different devices. This is where the new Wellness Registry comes into play. 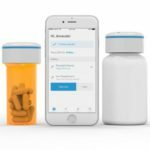 The principle idea is to establish a type of database storage for wellness data which can track and store health data from multiple user devices and sensors. This database can also be used to request additional information from research based organizations related to your health data as well as share your information with the research organizations. As per this newly published patent, 9916474, wellness data can include, but is not limited to, any type of data associated with a person’s health, such as their weight, heart rate, blood pressure, blood glucose level, medication compliance, activity level, or the like. RELATED: Health Sensors and Apple, The Work Continues. The system can be used to collect wellness data associated with a user, store the wellness data and present the wellness data to the user in useful ways. 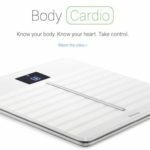 The new system can further be used to collect non-wellness data along with wellness data, correlate the non-wellness data with the wellness data, and display the non-wellness data with the wellness data. 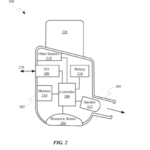 A variety of health sensors have been described in this patent that can be used to collect users information. Sensors can include, but are not limited to, a scale, blood pressure cuff, blood glucose monitor, electrocardiogram, step counter, gyroscope, accelerometer, SpO2 sensor, respiration sensor, posture sensor, stress sensor, photoplethysmogram, galvanic skin response sensor, temperature sensor and asthma inhaler. Sensors 102, 104, 106, and 108 can also include other types of sensors, such as audio sensors, ambient light sensors, electromagnetic sensors, touch sensors, capacitive sensors, and the like, for obtaining non-wellness data, such as situational data, temporal data, personal data, contact data, and the like data. In some examples, each sensor can be a separate device, while, in other examples, any combination of two or more of the sensors can be included within a single device. Elements around sharing information will be designed using sharing permissions and other security features which have been described in the patent. 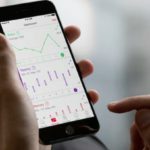 With iOS 11, Apple introduced features that allow an user to keep track of their health record information by partnering up with their health services providers. This offering has been made available by many health agencies and hospitals today. The Wellness Registry builds on this idea of digital health records by adding features to track multiple health sensor information and establishing a secure permission based platform that can allow users to share their information selectively with others such as family members of medical facilities. 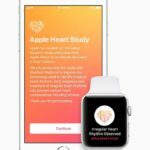 In Summary, Apple is beginning to creatively address the digital health frontier as well as expanding upon its offerings when it comes to tracking numerous sports and fitness activities.